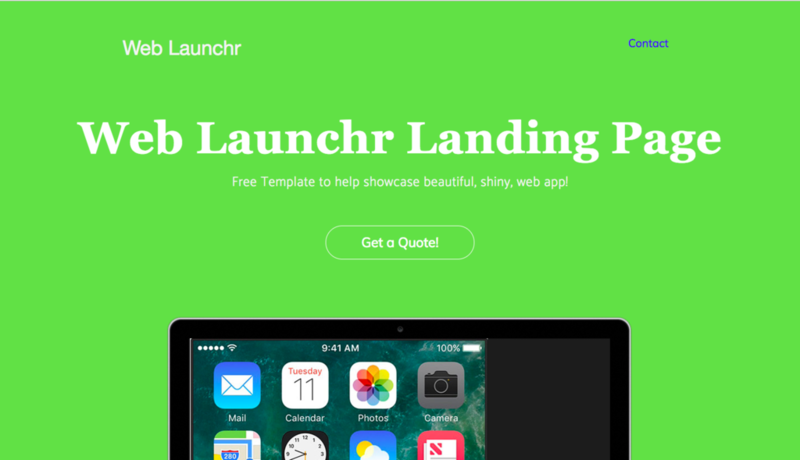 The web launchr was inspired by all the simple SaaS website themes i've been seeing around the internet. A simple header nav, a simple callout and clean way to put a screenshot of your web app. Theme was built to help you launch something! Its part of human dynamics that most people think something is cooler if they are forced to wait for it! This theme will help you out! Basically download it and update the title, change the background, change the links in the footer, and make the email list go to your campaign. Using any of the tachyons skins. Super Fast and Lightweight - Tachyons is a very minimal framework and features atomic design. Simple - download OR clone and get started, change config and push to create your launch site. Flexible - update links in the `config` file and make it useful in 5-minutes.